July 12, 2012 — This is a sad day for Penn State. We have always said we want to ensure that Penn State is safe for all who are on campus, ESPECIALLY CHILDREN, and that our concern has been for the victims. So, to be clear, we are glad that there is a report that addresses recommendations to ensure that something like this never happens again. Penn Staters for Responsible Stewardship has been concentrated on the lack of leadership of the Board of Trustees throughout this case. And today, that lack of leadership is called out loud and clear in this report. The report found that the Board of Trustees failed to provide reasonable oversight, and failed to create an environment that held the University’s most senior administrators accountable to it. If Penn State is to move forward and learn from this case, the Board of Trustees must be accountable and resign. The Board of Trustees should be held to the same standards as the other university leadership who were called out in this report. They must step down for their lack of leadership and engagement in such critical matters. We do caution, however, that while the study may have been overseen by a judge, this is NOT a judicial conclusion. Some individuals were not even interviewed. Participants and interviewees were not subpoenaed or guided in any other way besides by their own moral compasses to tell the truth. 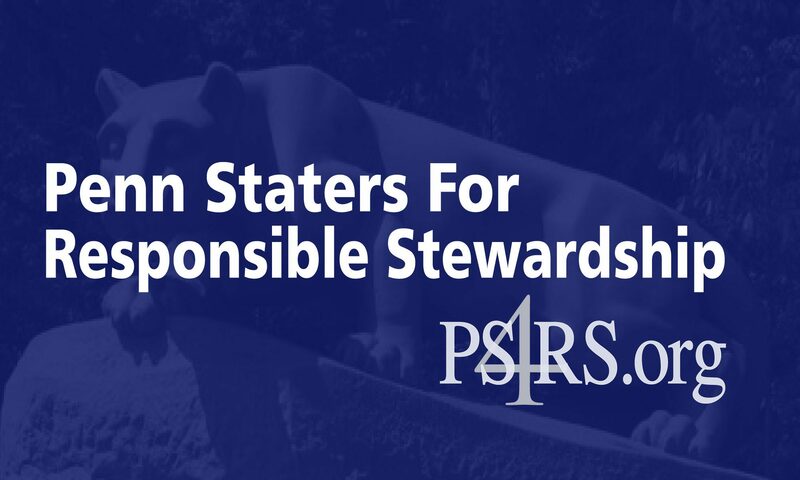 Penn Staters for Responsible Stewardship has developed a 95-point checklist of information we DEMAND be included in the report for it to be valid. We will have to wait for the judicial process to take its course and to see the progress of the federal investigation which clearly would be more objective in nature than today’s report.